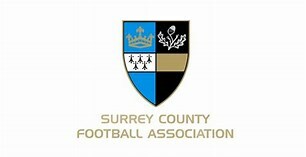 Surrey FA are pleased to launch the Surrey FA State of Play survey, a simple online process which takes no longer than 5 minutes to complete and asks a questions about your role(s) in football, followed by some diversity-related questions. We are looking to reach everyone involved in football with this survey, including youth and adult players, coaches, referees, Surrey FA staff, and volunteers. Please complete this survey yourself following the link below, and pass on to your league committee members to complete too.